The Dream Home You Deserve! Don Graber of T&D Construction has experience offering trustworthy contracting services, building and renovating properties since 1989. Our personal relationships with our customers are what ensures a homeowner’s personality and style are reflected within their home. Our commitment to our clients begins at our first meeting and does not end when you move in; we will continue our avaialability to consult with your desires. Here at T&D Construction our goal is to ensure that each of our clients receives a dedicated and professional effort throughout the course of their project. Our crews bring together a highly experienced team of fine craftsmen, reliable suppliers and specialized subcontractors to guarantee the highest standards in all phases of construction. T&D Construction has also offered services to the community by donating time and money to the local little league, assisting in building a home for the television show ‘Extreme Makeover: Home Edition’ which is a reality television series providing home improvements for less fortunate families and community schools etc. Provide expertise advise to building projects throughout the community. 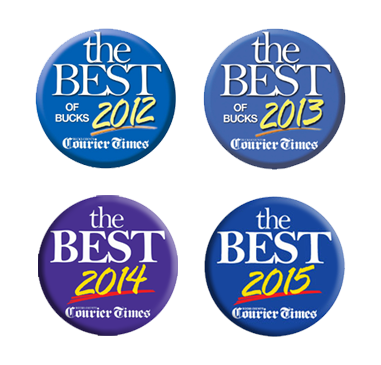 We are Proud to be voted by our Customers as Best of Bucks 2012, 2013 and One of the Best for 2014. 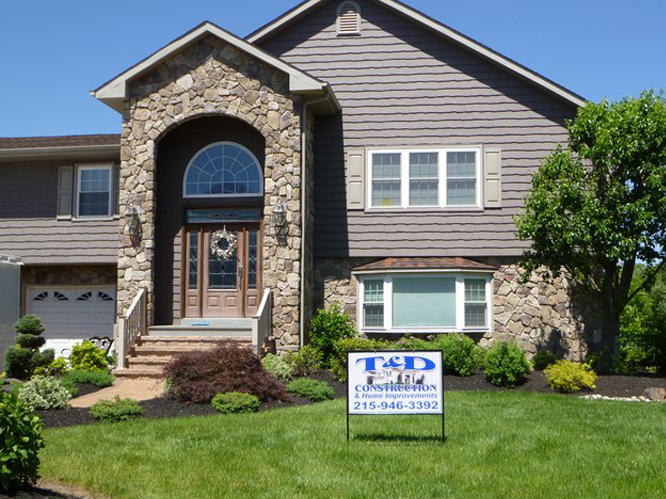 Whether you're looking to build out or build up to make your home the dream home you deserve, T&D Construction can help. There's no greater feeling of accomplishment for our team than seeing our customers thrilled with the work we provide. 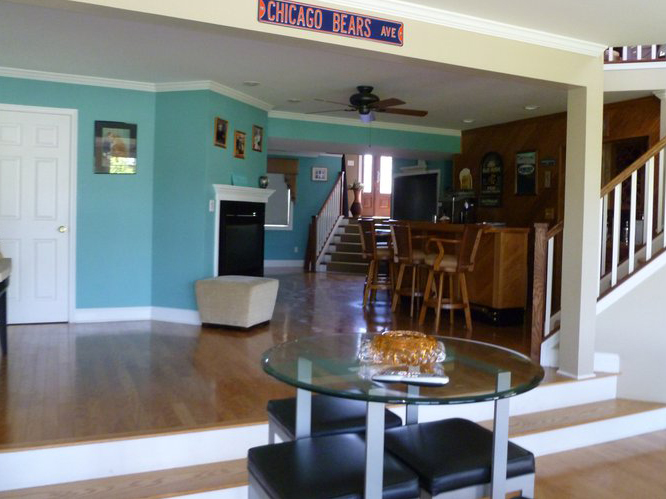 There are so many amazing ways to upgrade, expand, and customize your home and our team of experienced professionals can turn your home into your very own custom home. 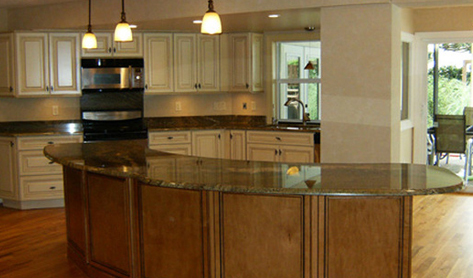 With the knowledge and guidance of T&D Construction you can rest assured that your next project is in great hands. Enjoy beautifully designed and spacious living areas, extra bedrooms and closets, patios, decks, sun rooms, garages, and so much more! At T&D Construction we even specialize in upgraded heating, electric systems, and ample insulation. If you're looking to add an office, library, or even a brand new guest cottage to your home, we have the experience and team to deliver exactly what you're looking for. Give us a call today to discuss your project and experience the T&D difference! You may have heard it before, but the kitchen truly is the heart and soul of any home. Just like everything else in our lives, as we grow, our wants and needs change. The kitchen should allow you to have fun and enjoy cooking, hosting get togethers, and having a romantic quiet night in. The bottom line is that as you grow, so should your grow with you. 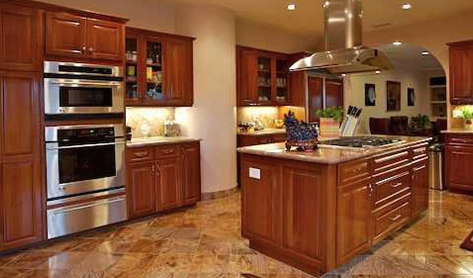 For many families in modern America, the kitchen has really become the family room. It's a place to do homework, have social gatherings, and often times even eat there rather than moving company to the dining room. 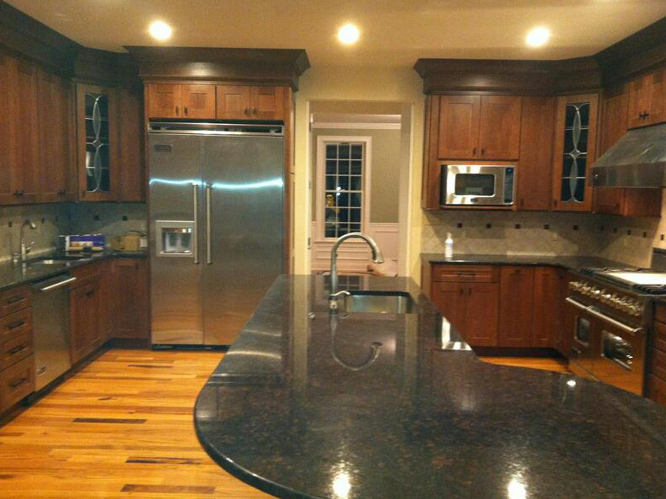 At T&D Construction, we'd love to help you watch your dream kitchen become a reality. The bathroom is one of the most functional, yet potentially elegant rooms in the house. A renovation of this space is a way to improve your comfort, make the start of your day more efficient, and create a space to relax and unwind after a stressful day. Nothing quite says relaxation like a beautiful master bath. 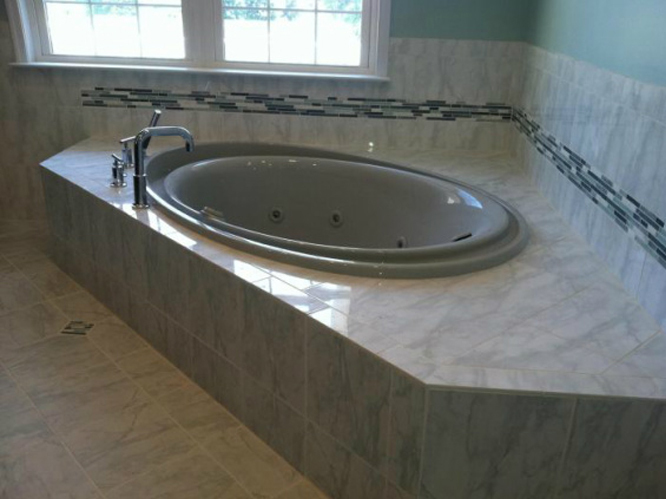 Our team of experts will work with you to design and remodel your bathroom to meet your every desire. We're here to help you pick and then install new beautiful tiles, a gorgeous new shower, jacuzzi, elegant cabinets, modern toilets, and the perfect touch of mirrors and lighting. Upgrading the master bath is always a tremendous improvement for any home but so is updating the other bathrooms throughout the house. It always feels great to have your family and guests feel clean, comfortable, and lavished with their experiences in your home. As the way we work and do business evolves, so do the buildings we work in. The standards for office buildings are changing, which is why it's important to have an expert like T&D Construction on your project team. We understand the unique needs of various project types and have the collaborative experience necessary to help drive the innovation of these spaces to achieve higher levels of both building and occupant performance. Some of the great perks about working with T&D are that we are always aware and abide all applicable codes. Over the years we've help small business grow and we've helped large business expand or totally overhaul their workspace for a great new look. Whether you need a small project or a very complex build, T&D has your back. Give us a call today and we can chat about how you're looking to expand or improve. We can help with office space, warehouses, and even retail stores. The first process while working on your roof is removing the old surface material. Next, we inspect the plywood for wet stains and mildew; if there are any, we will replace them immediately. Next step is to install the ice dam protection. Ice dam is a synthetic material that works as a barrier against water and improves draining. After installing the ice dam protection, new roofing paper (felt) is installed onto the entire surface of the roof. Useful tip: Overlapping distance between each course has to be two inches to provide adequate leak protection. Following water and ice shield installation; shingle roofing is installed. Galvanized roofing nails are used at this time. Last but not least, it is important to remember to clean the working area around the house to ensure that our client can sit back and enjoy the new look of the home. What better way to add usable space to your existing house or back yard then adding or expanding an outdoor deck. 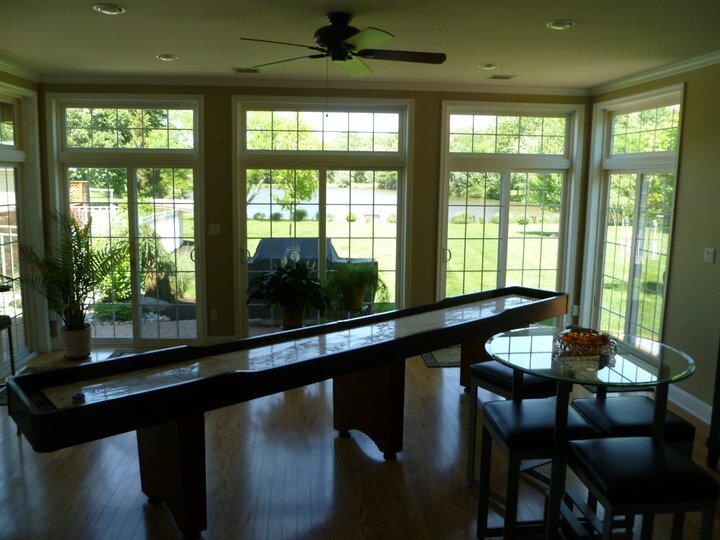 Have T&D Construction install a new deck of your choice to increase the usable living area of your home. Decks can be built in all shapes and sizes to suit your tastes and desired amenities. You have many choices of materials; pressure treated, composite or PVC decks. We can of course advise you on the best choice for the needs and requirements of your installation. Many people don’t realize there is a deck for any budget with so many new, breakthrough decking products to choose from. 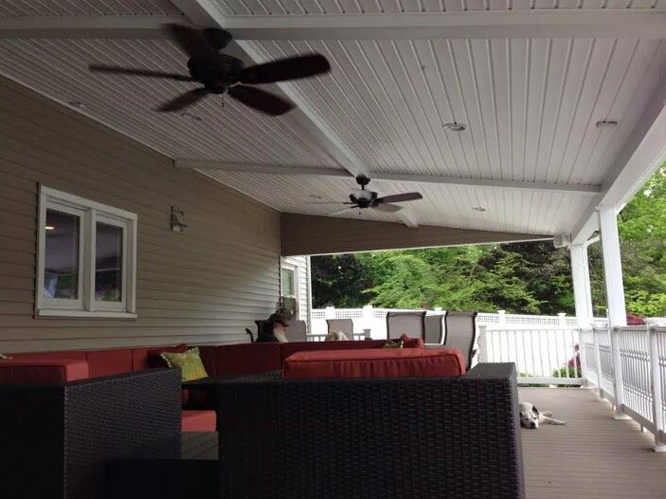 T&D Construction has also been helping clients by increasing our deck remodeling program to refurbish older decks thereby making them into exquisite master pieces. We do this by adding new maintenance-free decking and railing materials to your existing foundation in a beautiful, usable and durable deck expansion or remodel. 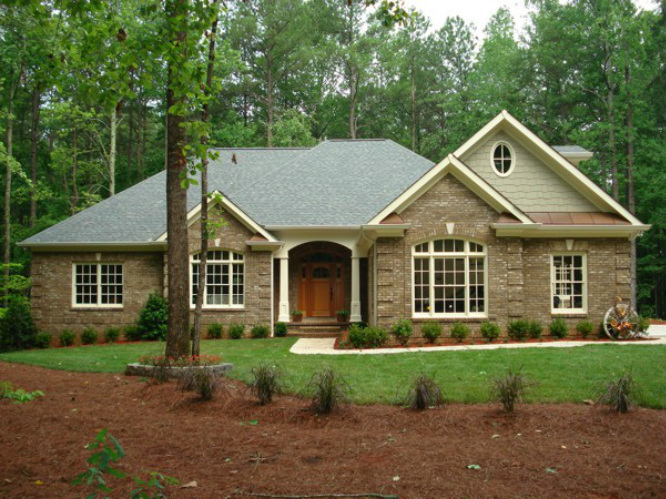 T&D Construction and Home Improvements specializes in quality custom home construction. 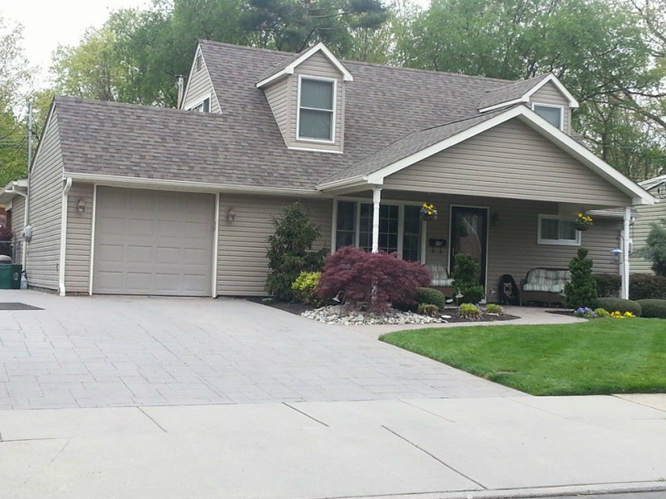 Over the past decades we have constructed hundreds of homes in and around the Bucks County area ranging from contemporary to traditional. Each of our homes is unique as we work with our clients to design a home that fits their architectural style and budget. Our attention to detail ensures a quality product that will stand the test of time. Whether you're looking for contemporary, traditional, modern, colonial, industrial, or even your own spin on things, T&D Construction has the experience, equipment, and dedicated team to get the job done. Custom building is an in-depth process so make sure you enter the market with the right partner. If you're considering this route, we'd love to help you navigate this difficult terrain and ensure you're 100% satisfied with your custom build. When you need a general contractor, Bucks County’s Don Graber is one of the area’s finest, recieving the Best of Bucks award for 2012. His strong eye for detail, with an intolerance for mediocrity and decades of superior craftmanship. From minor residential renovations to commercial construction, this Bucks County contractor brings the same set of enthusiasm and pride to every job. Don Graber takes complete control of every job, solving puzzles you would never know even existed. His years in the business give him wisdom that helps him to understand the big picture of what’s behind those walls, without ripping them apart the seams. He approaches every project with honesty, integrity and quality; customers can relax with a sense of comfort knowing their project is in the best hands. T&D Construction has been awarded the Best of Bucks in corperate construction and home improvement by The Courier Times for the last four years in a row, 2012, 2013, 2014 and 2015! When you need a general contractor, Bucks County's Don Graber is one of the area's finest, recieving the Best of Bucks award for 2012. His strong eye for detail, with an intolerance for mediocrity and decades of superior craftmanship. From minor residential renovations to commercial construction, this Bucks County contractor brings the same set of enthusiasm and pride to every job. At T&D Construction, our personal relationships with our customers are what ensures a homeowner’s personality and style are reflected within their home. Copyright © T&D Construction. All rights reserved.